The sardine is a paradoxical ﬁsh. Seemingly insigniﬁcant, its exploitation has made fortunes for some and, when stocks have collapsed, caused hardship for many. Its status has shifted from utilitarian food to a gourmet’s delight. 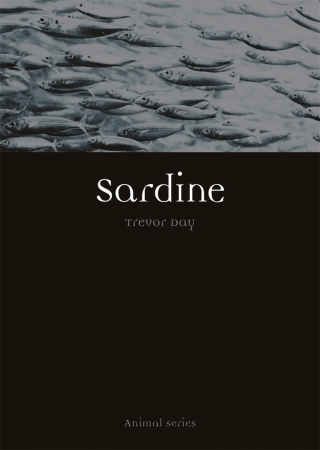 Trevor Day – diver, ﬁsh-watcher and marine conservationist – travels across four continents to meet the sardine in its natural environment, and he traces the ﬁsh’s journey from minuscule egg to item on the dinner plate. Sardine interweaves the story of the ﬁsh with the rise and fall of ﬁshing industries. The sardine is a barometer for the health of oceans, with lessons for us all about our stewardship of the seas. Day takes a scientiﬁcally and culturally wide-ranging look at the cluster of ﬁsh species called sardines, their relationship with other marine creatures and, in turn, with us. Elite predators feast on sardines, yet these silvery slivers are fast-breeding and opportunistic enough to survive their hunters. Whether swimming free as a shoaling ﬁsh at the mercy of predators, or tightly packed in tins – an image used frequently as a metaphor for overcrowding – sardines represent conformity and vulnerability. The biography that emerges will beguile readers fascinated with marine life, as well as anyone who has eaten this familiar yet under-appreciated ﬁsh. Originally a marine biologist, Trevor Day is the author or co-writer of more than 25 books in marine science and life sciences, including Oceans (2008) and Whale Watcher (2006). He lives in Wiltshire, UK. Sardine is a delight. 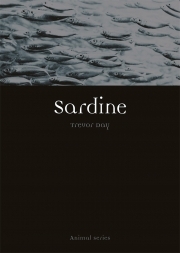 The debt to Mark Kurlansky’s Cod is clear, but Trevor Day’s canvas goes beyond Kurlansky’s historical, human-centred approach to look at life from the sardine’s point of view as well. The gauntlet of the ‘sardine run’, off the coast of South Africa, when every dolphin and seabird in the region is after them. The unexpected invertebrate predators, from comb jellies to arrow worms. The sheer sense of attrition that converts the 60,000-80,000 eggs laid in a season by a female into the (on average) two fish that replace her and the father – or would have done until human industrial fishing came along. Day is also good on the scientists who have painted the canvas of the sardines’ lifestyle. Sir Alister Hardy, with his continuous plankton recorder. Charles Hickling, who devoted more than three years of his life to recording sardines’ stomach contents. Even Ed Ricketts, essentially an amateur, who was the inspiration for ‘Doc’ in Cannery Row, a novel set among sardine canneries. The wider history is there, too, though. Who knew that Thomas Bodley, the founder of Oxford University’s library, owed his fortune to sardines? Or that St Anthony of Padua has a sardine festival on the streets of Lisbon. Or that, in 19th-century Cornwall, there was a profession called ‘huer’ which involved sitting on a cliff top day after day trying to spot sardine shoals, and then directing boats towards them by a system of semaphore. Sardines may not have driven the colonisation of new worlds, or provoked wars, in quite the way that codfish once did. But they were every bit as important to local economies, and local nutrition. And they are every bit as interesting.